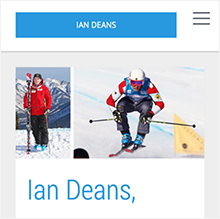 An up and coming gold medalist for the Canadian Ski Cross team Ian Deans is a powerhouse skier with roots in GS but now had moved into the exciting sport of Skier Cross. 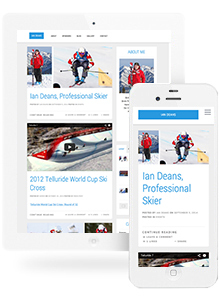 Ian Need a nice clean design that would relay his latest blogs posts and give him the ability to easily post pictures from his mobile and relay sponsors latest news and updates. 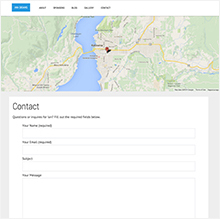 The website is responsive and renders pixel perfect across mobile, tablet and desktop devices. Strong social media marketing campaign helps Ian's presence across all major social platforms. 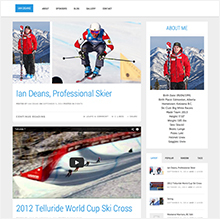 Clean Design showcases the talents of Canada's up and coming Ski Cross star. Social Media Marketing to help keep all in the loop with simple setup through Hootsuite. 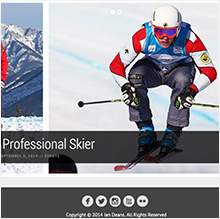 Responsive design makes website easy to view using mobile, desktop or tablet devices. Powerful blog with clean design and video integration make using the website an amazing user experience.